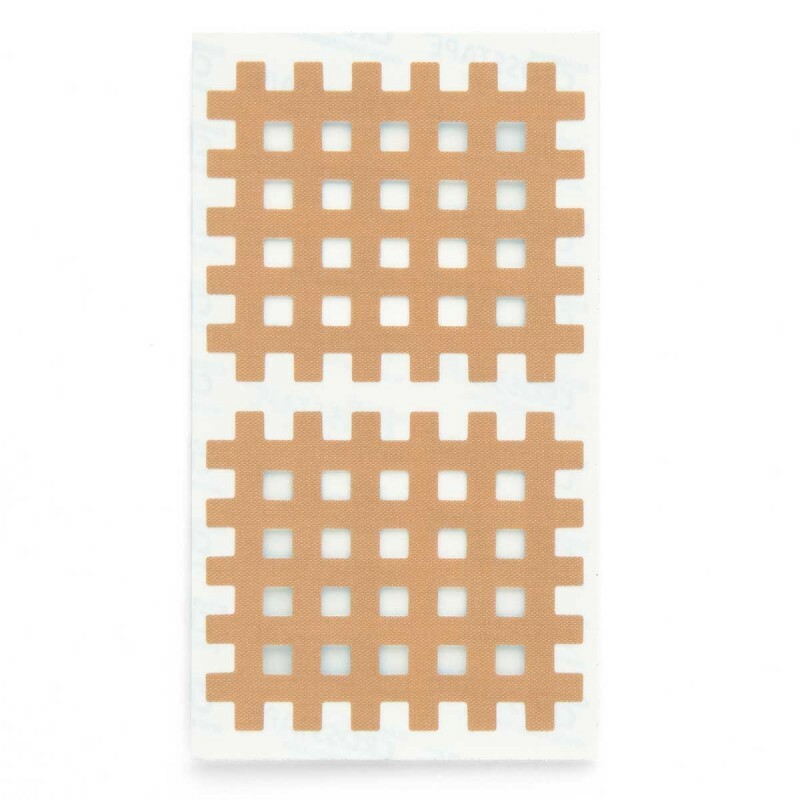 The Kumbrink-created Crosstape patch is used to stimulate selected acupuncture points, enabling an acupuncture-like treatment without the use of needles. 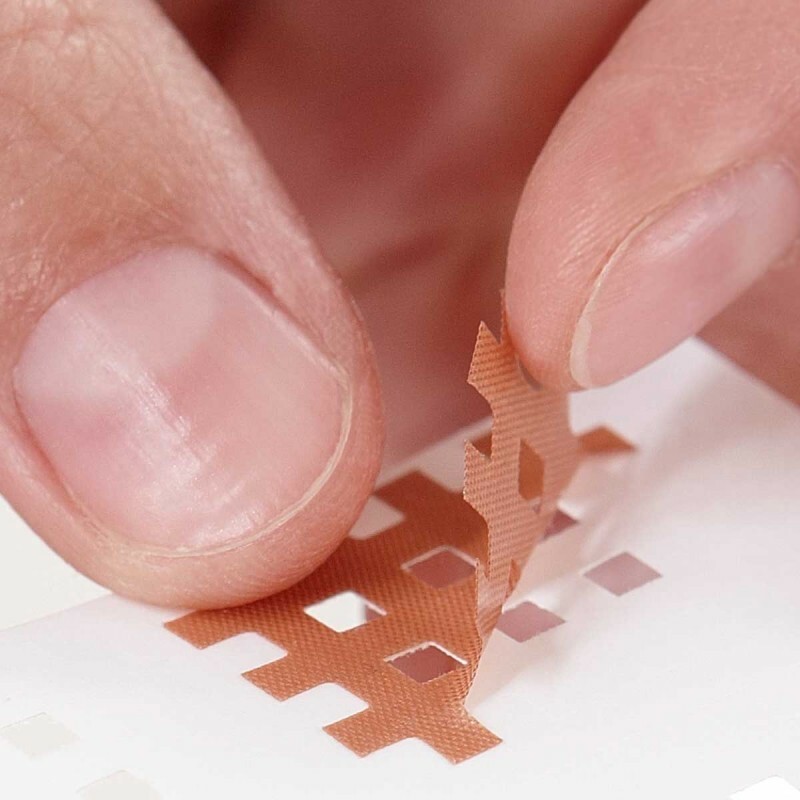 The specially developed fiber in Crosstape is charged up electrostatically when the special backing paper is removed, allowing it to influence conductivity. 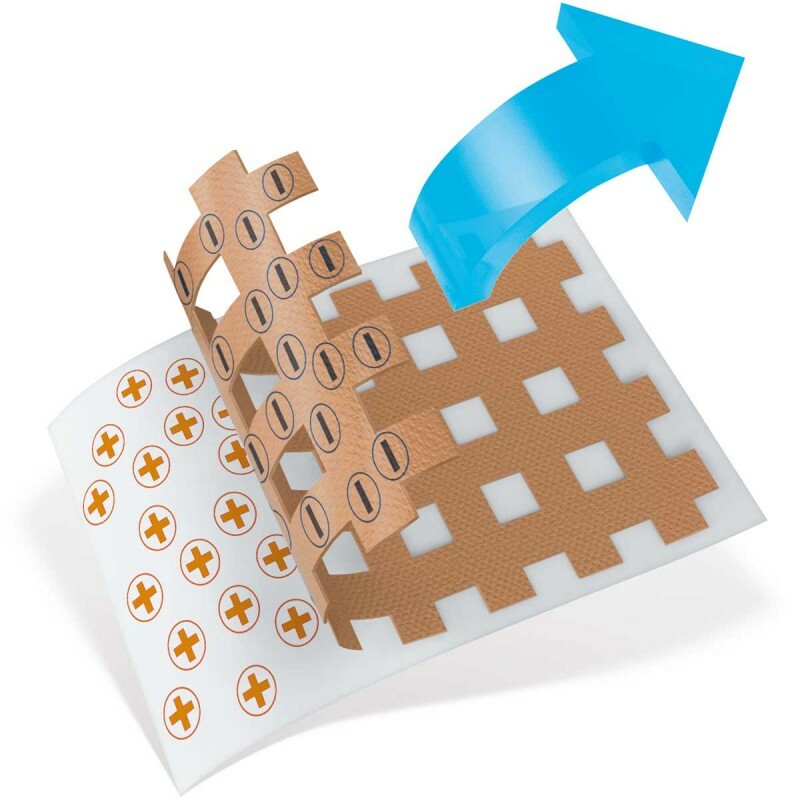 Crosstape can effectively be applied directly on trigger points, acupuncture points, tense muscles, sore joints and more. These are areas of high-energy that influence the conductivity of muscle, nerve and meridian functions. Crosstape is also the fundamental component of the Crosspuncture Therapy. 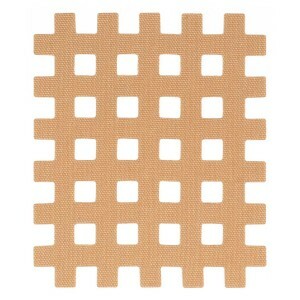 Crosstape is water-resistant and can be worn for several days without any restrictions. 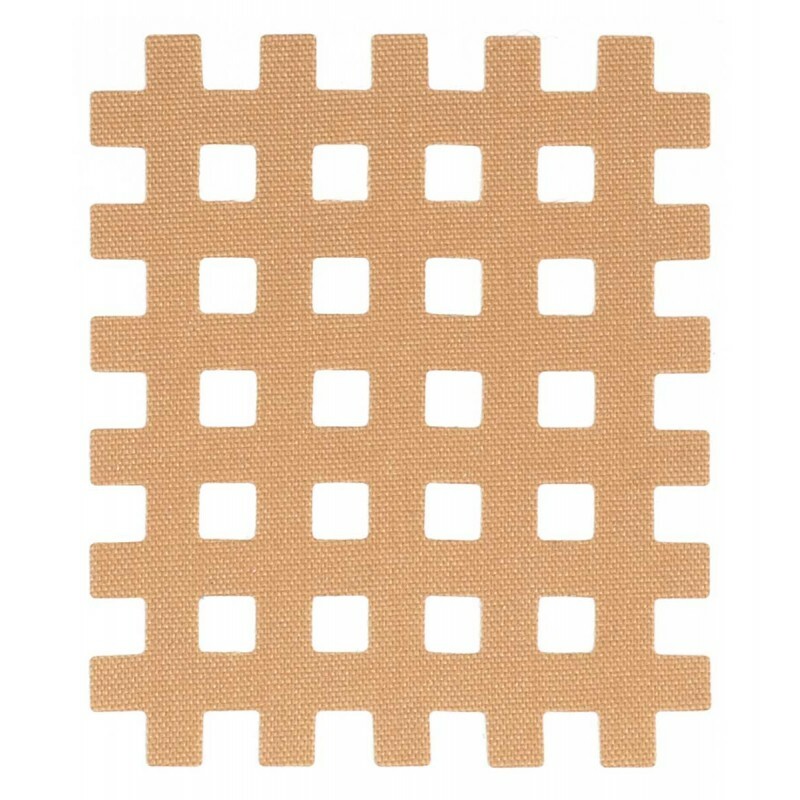 Do not apply on wounds or skin diseases (neurodermatitis, psoriasis). 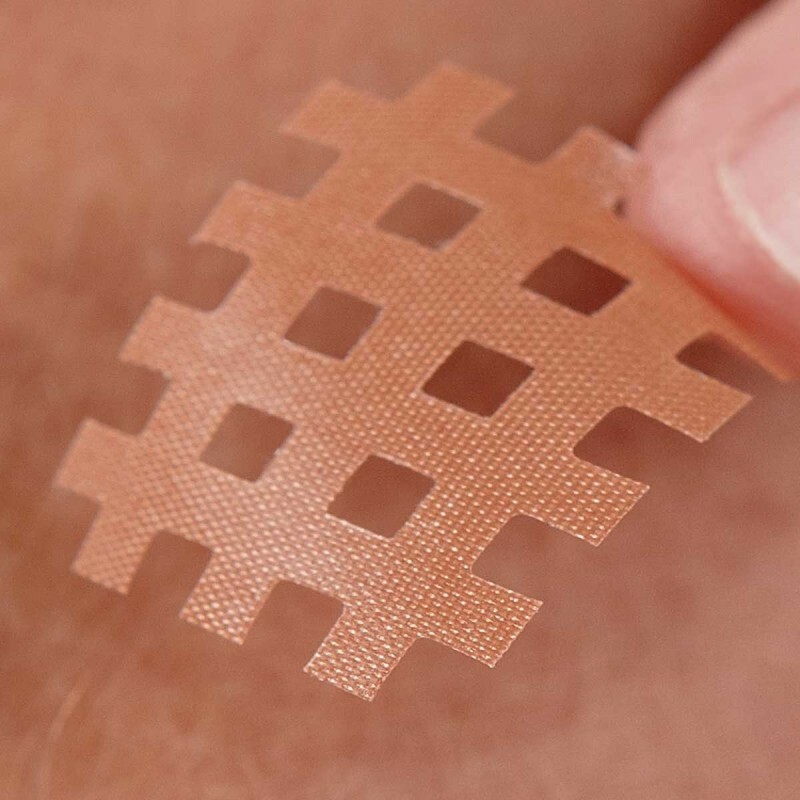 For people with sensitive skin issues, you should test for compatibility with tape. For more information visit Crosspuncture.com, you will find further information to the product and application demonstrations for the use of Crosstape.